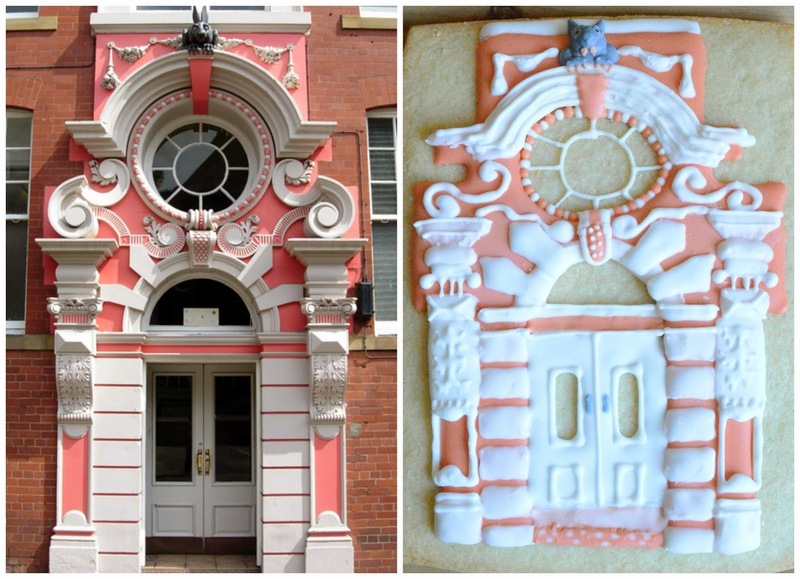 Over at Cookie Connection there is a bi-monthly challenge called Practice Bakes Perfect and this time round the subject was architecture and I immediately thought of my home town. I live just outside Newcastle upon Tyne in England and its well known for some amazing architecture the Tyne Bridge, The Angel of the North and the Sage to name a few, but I decided to leave these for another blog post 😉 The challenge is accompanied with a pinterest inspiration board and there was some amazing doors on it which made me think it could really only be one! The Vampire Rabbit door! No honestly, the Vampire Rabbit door! It’s one of the oddities in the city that sits behind St. Nicholas’ Cathedral. It’s an oddity as no one really knows why there is a blood sucking creature on the top. Besides him though, the door is stunning! You can check out all the other entries here!